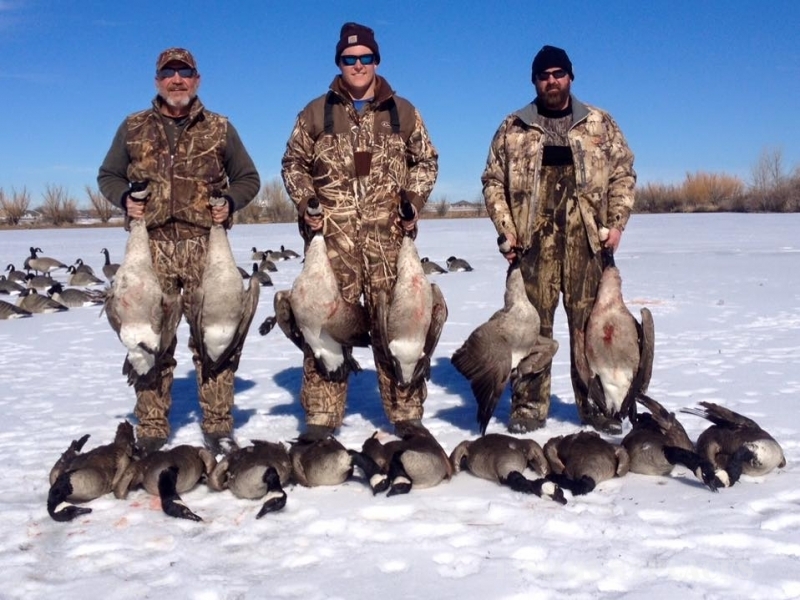 Located in the heart of Colorado, Stillwater Outfitters is one of North America's finest and most respected outfitters for Canada goose and duck hunting. 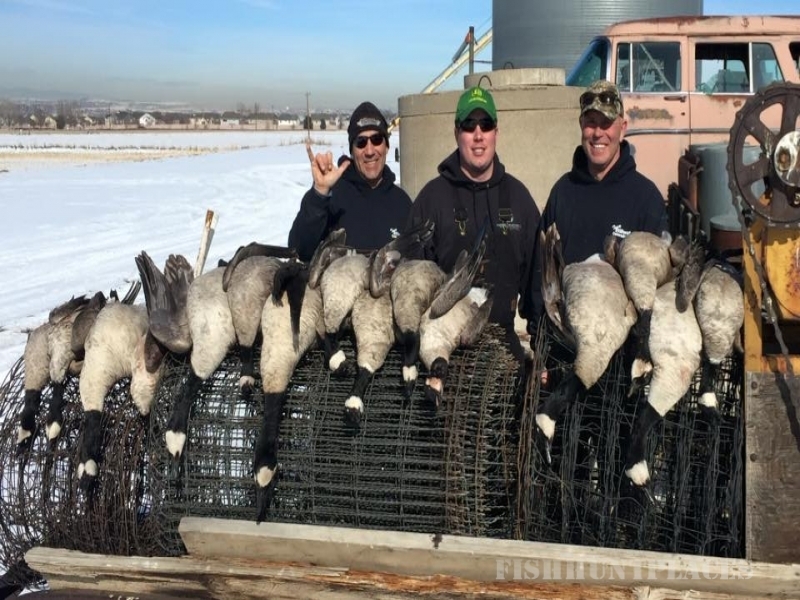 We have been established in prime locations through the Front Range region between Denver and Ft. Collins for years. 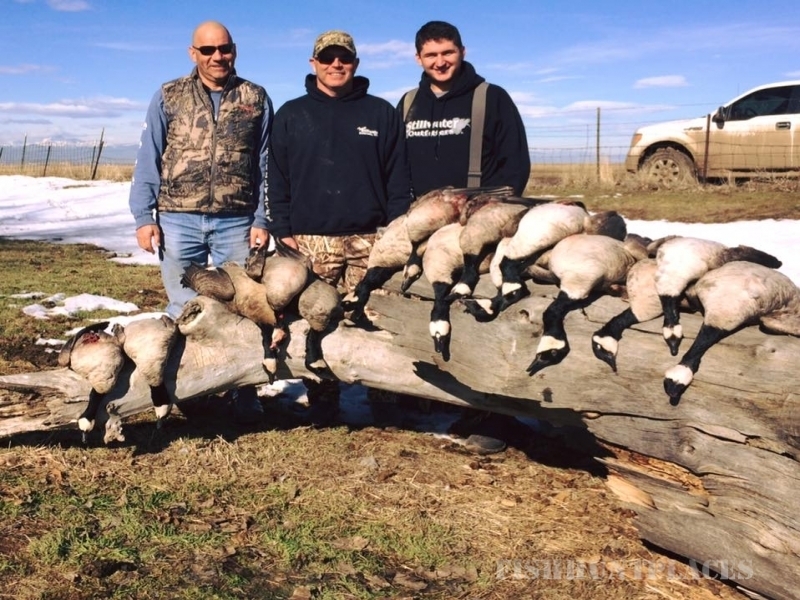 The time has come to book your goose hunts, if you already have not. We look forward to hunting with you, your friends and family! Don't wait to book your spot, call today the number is at the bottom of the website. 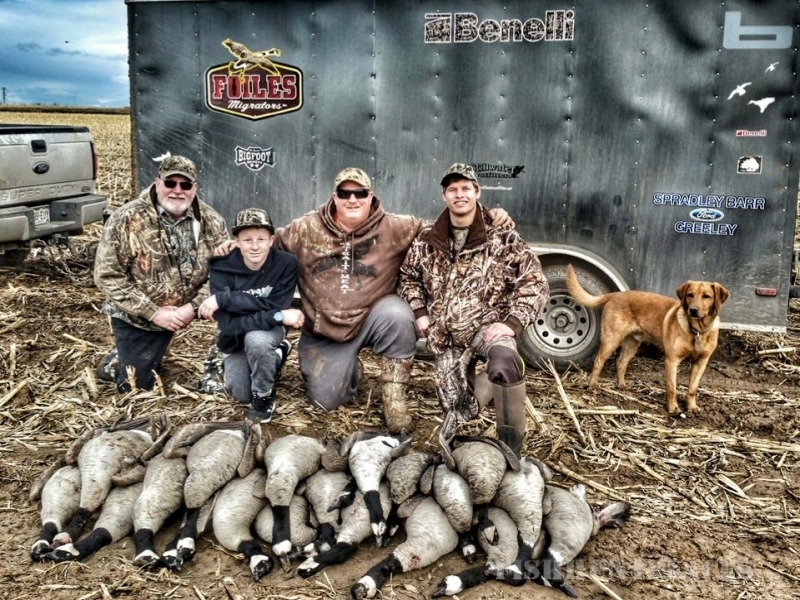 You will hunt over large, full body decoy spreads from comfortable, well-concealed pits and blinds. 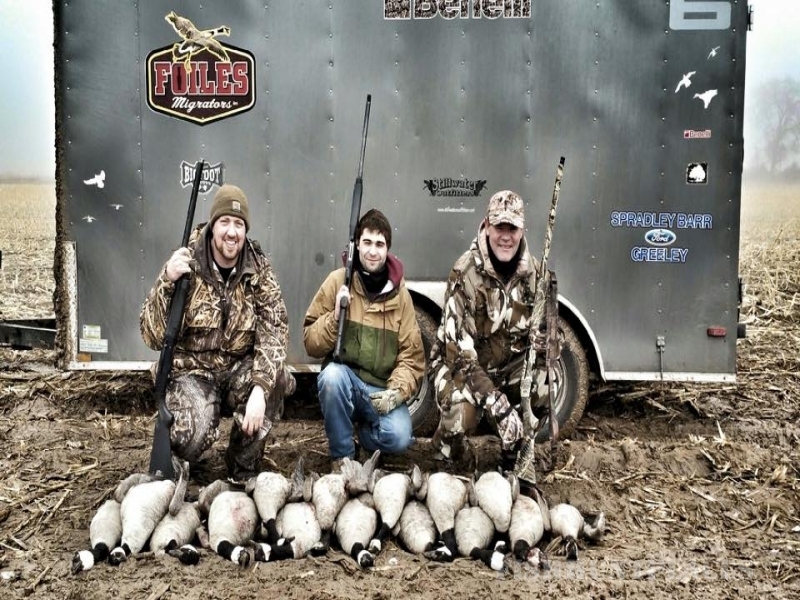 Your group will hunt farms controlled and hunted exclusively by Stillwater Outfitters. 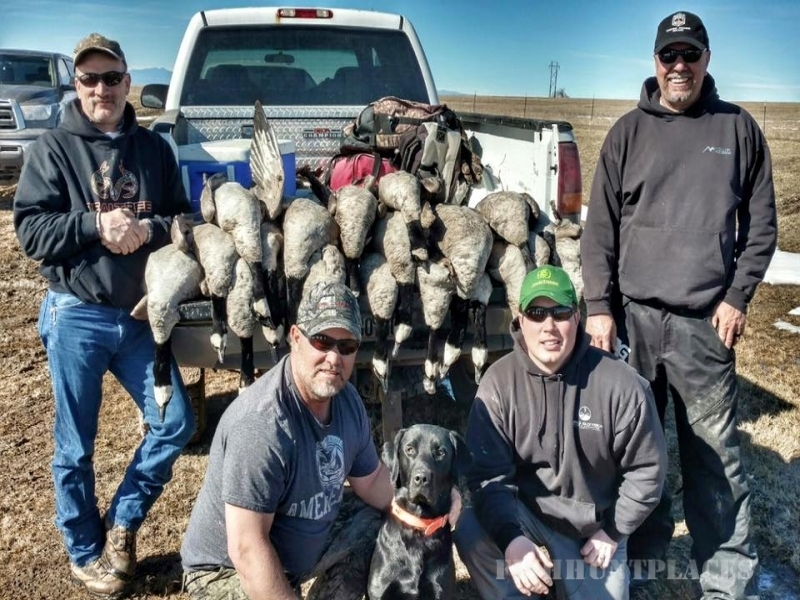 By limiting the number of hunts each day and using proven management techniques, we have established a reputation for providing consistent high quality gunning since 1985. 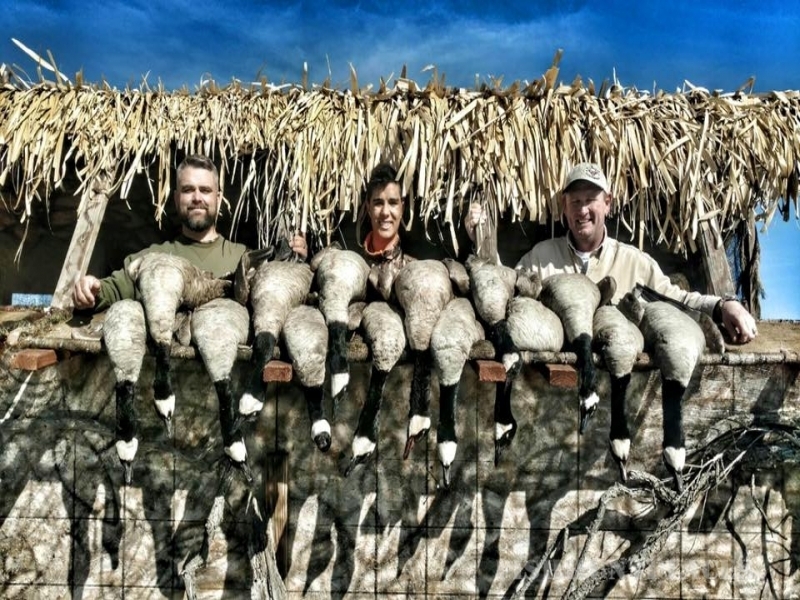 Hunters from around the world have already discovered the thrill of hunting this majestic setting. The area is a "must see" to be truly appreciated. 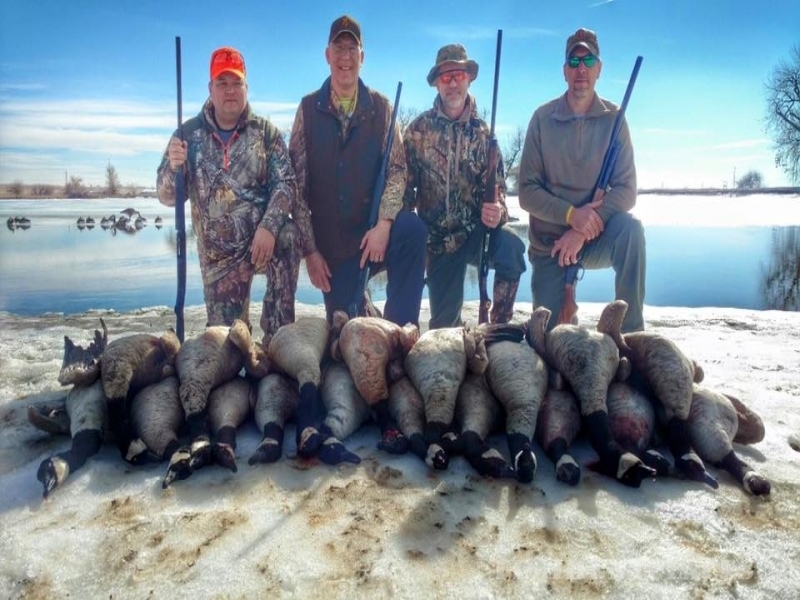 Join us on a waterfowl hunting adventure that will have you wanting to come back again and again! Can you say Monster Bass,Crappie, Blue Gill, and Cat Fish? If any of those caught your attention then you need to call us ASAP! 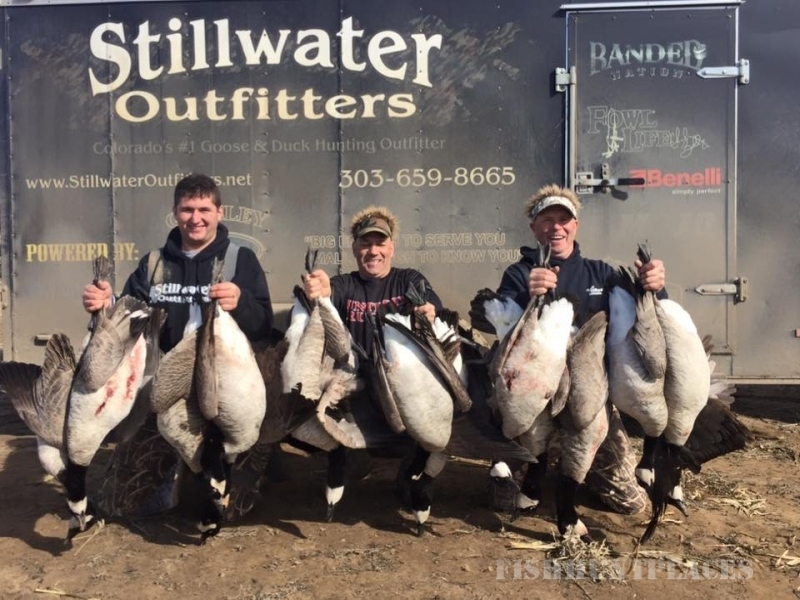 Once again, Stillwater Outfitters is offering fishing memberships on 3 different lakesthat are loaded with monster fish. We spent a bunch of money last year working with Liley Fisheris and developed a stocking and management program for our farms. We are very excited to offer these memberships -- and for the price, they can't be beat.